Hi there everybody. 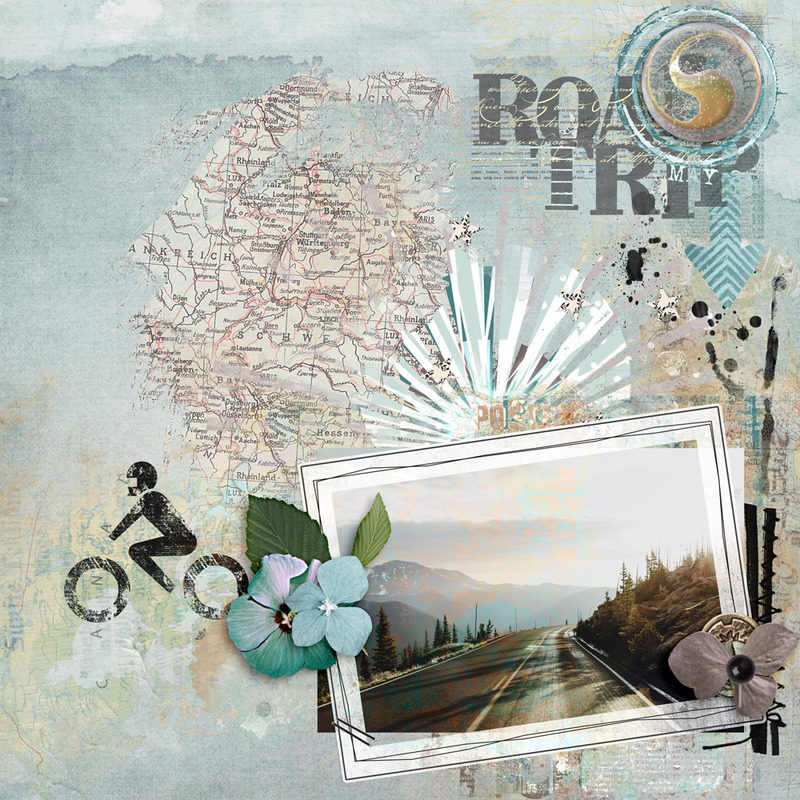 Anne aka Oldenmeade here with a page I did using the Roadtrip Collection by NBK Design at Oscraps. 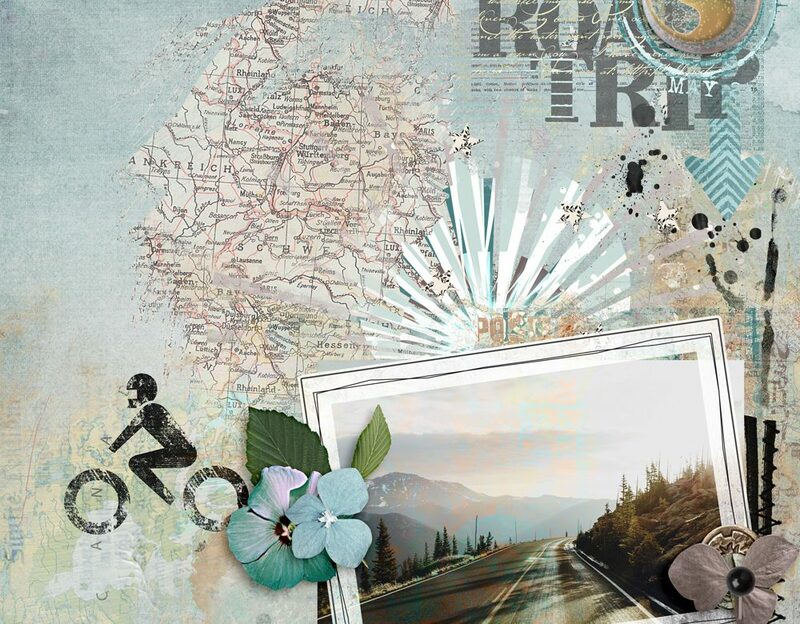 To create this page I placed a Page Blender over my background paper, and then clipped a Vintage Gesso paper to it. I used a brush from the Brushmix and applied a Vintage Map Style to that. Blending in one of the Artsy Bits & Pieces gave the photo a little more colour. The Magiclight sunburst created additional interest on the page, and then I finished off with a word art, a stamp, and some more artsy bits and pieces. Over 90 Video Tutorials can be found already in Jana’s Vimeo Video Channel using NBK Design products. Learn how to use brushes, see what is inside each Collection, watch Speed Scrap Videos and if there is anything you would like to learn how to do, just get in contact with us at Oscraps.